The NCLEX-PN exam is not just about what you know—it’s about how you think. 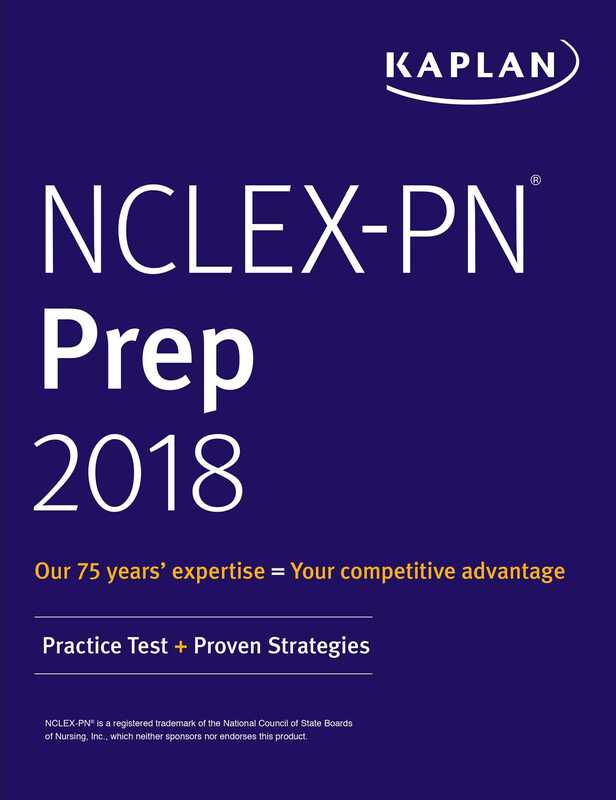 Kaplan’s NCLEX-PN Prep 2018 uses expert critical thinking strategies and targeted sample questions to help you put your expertise into practice and ace the exam! The NCLEX-PN exam tests how you’ll apply the medical knowledge you’ve gained in real-life situations. In NCLEX-PN Prep 2018, Kaplan’s all-star nursing faculty teaches you 9 critical thinking pathways to help you think like a nurse. Six chapters end with practice sets to help you put these critical thinking principles into action. * Kaplan’s Learning Engineers and expert psychometricians ensure our practice questions and study materials are true to the test.